Healthy Teas. 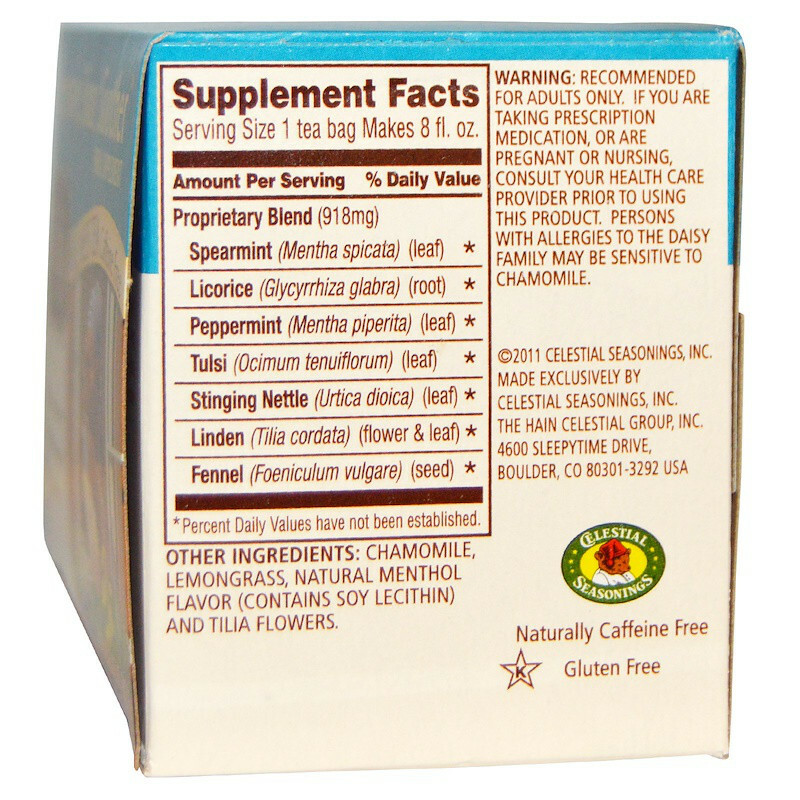 Health Planet. Healthy You! Seasonal respiratory discomforts like nasal congestion and sinus pressure happen to everyone. 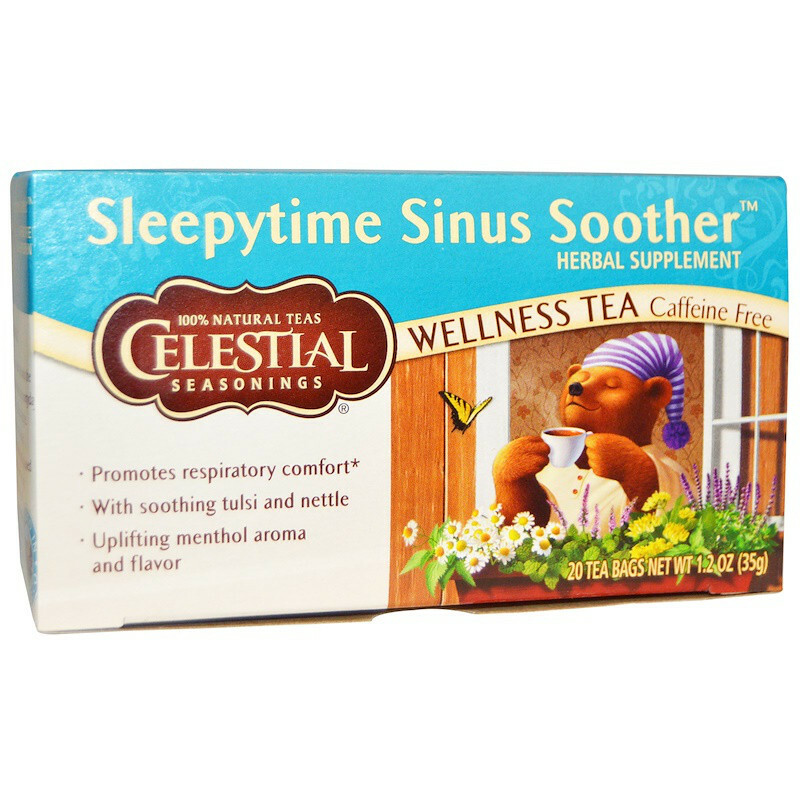 But with its time-honored herbal ingredients and exhilarating menthol aroma and flavor, Sleepytime Sinus Soother can help. This handcrafted blend features tulsi (or "holy basil"), trusted for centuries to promote respiratory comfort, and stinging nettle, traditionally used when mild congestion occurs. 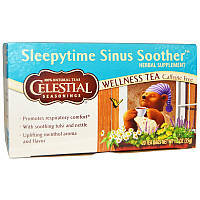 And because it has Sleepytime's beloved blend of chamomile, spearmint and lemongrass, you know you can trust Sinus Soother to help you forget your symptoms and relax! Ромашка, лимонная трава, натуральный ментоловый аромат (содержит соевый лецитин) и цветы тилии. * Процент дневных значений не установлен.